Today, I want to share how I recruited 200 MLM Reps in 18-months. As of this month, I’ve been working with my MLM Company for 18-months. I’ve been with them a total of 26-months, but I did leave the business for 8-months, where I didn’t build or recruit. In that 18-months of building, I’ve recruited about 200 personals. As of today, the exact number is 194 ( I just checked my stats). By the end of this month (February 2019), I will easily surpass 200. I have a lot of team members ask me how I sponsored so many people, like it’s some sort of secret. Before I tell you my recruiting success formula, let me tell you this. I have been doing this industry for 17-YEARS. I’m not a newbie. I FAILED for MANY years before I had my breakthrough. Comparing your results with my results, especially if you are new, is like comparing apples to oranges. To put things in perspective, there are some people in our industry who personally recruit 200+ people a month. Comparing my results to their results would make me feel like a failure. Never compare yourself to anyone else. Instead, compare who you are now with who you are capable of becoming. When I first started this industry in 2002, I sucked at it. I really sucked. In fact, I sucked at recruiting for more than 12-YEARS. That’s a long time. I just did not have the skills, commitment, mindset, or self-image it took to succeed. About six or seven years ago, I took the time to learn online marketing. I personally did not want to work with my warm market. Even though this is a warm market business (which I recommend for people just getting started), I wanted to have people come to me, with credit card in hand, ready to join. Through the years, I have mastered my online marketing system, allowing me to recruit more than 1,000 people since 2010 and close to 200 people with Regenalife in 18-months. Keep in mind, I invested more than $10,000 in business education and well over 10,000 hours to learn and master these online marketing skills. It was not fast, free or easy. I failed with it for YEARS before I eventually figured it out. While 200 personal recruits in 18-months sounds like a HUGE number, here’s what you really need to know. I only sign up about 1 in 100 people who enter my sales funnel, a mere 1%. And these are people who have requested more information about my MLM Company. Most people who do join my team have been in my sales funnel for at least 30 to 90-days and have received at least 10 to 20 emails from me, BEFORE they sign up. More importantly, I’ve spent around 10-YEARS building up over 3,000 pieces of content (blog posts, podcasts and videos), plus I’ve spent lots of money on paid advertising to generate my leads. I’ve generated around 20,000 leads in the past 18-months to sign up 200 people. 20,000 leads over a 18-month period of time breaks down to about 40 new leads per day. That is my goal most days: to generate at least 30 to 40 new leads. What’s funny is all of the top recruiters on my team do it differently than I do. All of them work with people they know, with maybe one exception. I have many top earner friends in many different companies who all do it differently than I do. At least 90% of them still recruit the traditional way: warm market. About 10% build online. Some do a combination of both methods. All three groups of people have taken the time, money and effort to master their skills. Learning online recruiting is not something you can or will do overnight. Learning to do network marketing on a grand scale will not happen overnight either. Learning how to do anything at a peak performance level takes time, money, hard work, commitment and dedication. 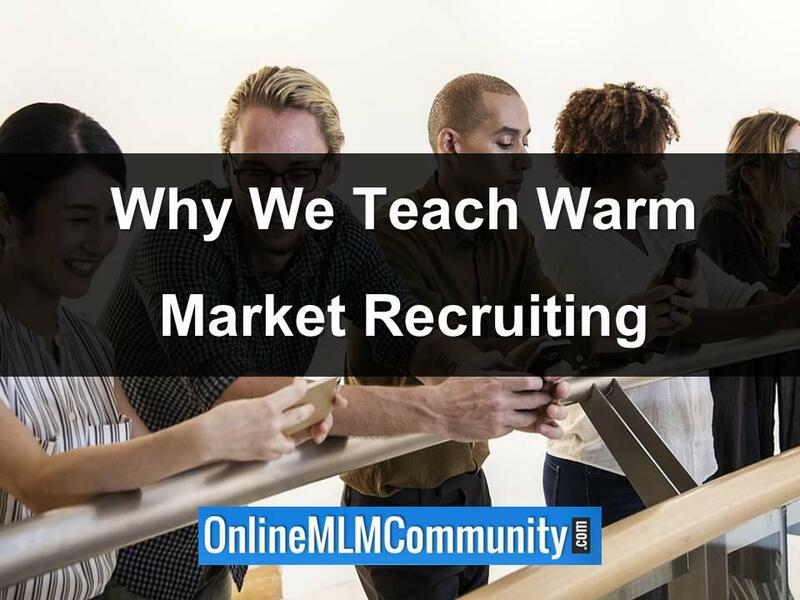 The reason we teach warm market recruiting to our team is because there is a shorter learning curve. Everyone knows at least 1,000 people. Everyone can make a name’s list. Everyone has a few close friends they can sign up. This helps them get started quickly, get an immediate result and build up their belief in the business. If everyone just focused on online recruiting, they would be so immersed in learning internet marketing that they wouldn’t have time to recruit, and in most cases, they would never even recruit one person. That is why we teach the warm market approach to everyone on our team. And before I close out this article, you might be wondering what my marketing system is. It’s actually quite simple. I hope that make sense to you. 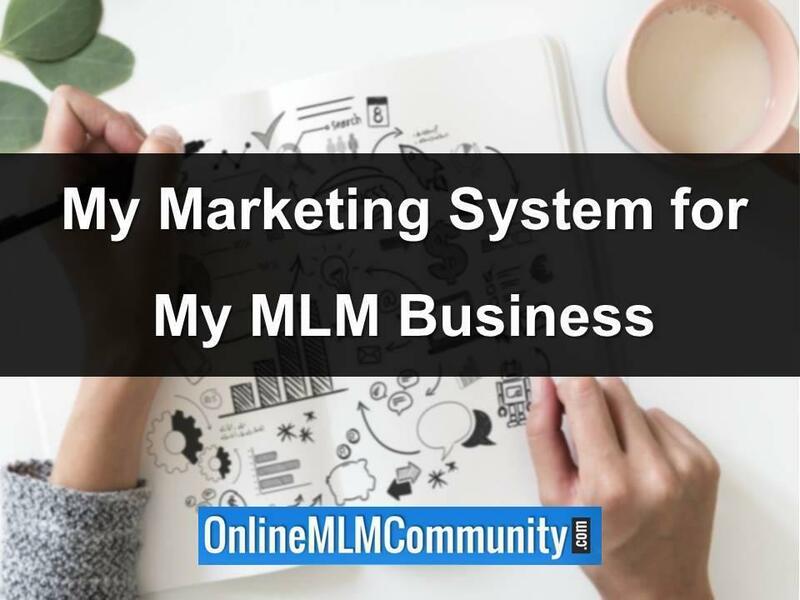 I am NOT trying to discourage you from trying to build your MLM Business online. I just want you to know that it is much more difficult than you think it is. I am hesitant to even teach my team members what I do online because I know most people will not have the commitment or patience to learn the skills, stick it out and do the work. They will try it for a month, get overwhelmed, realize how hard it is and give up. They would be much better off getting started with their warm market and then doing a little bit online. Just my two cents. There you have it folks. 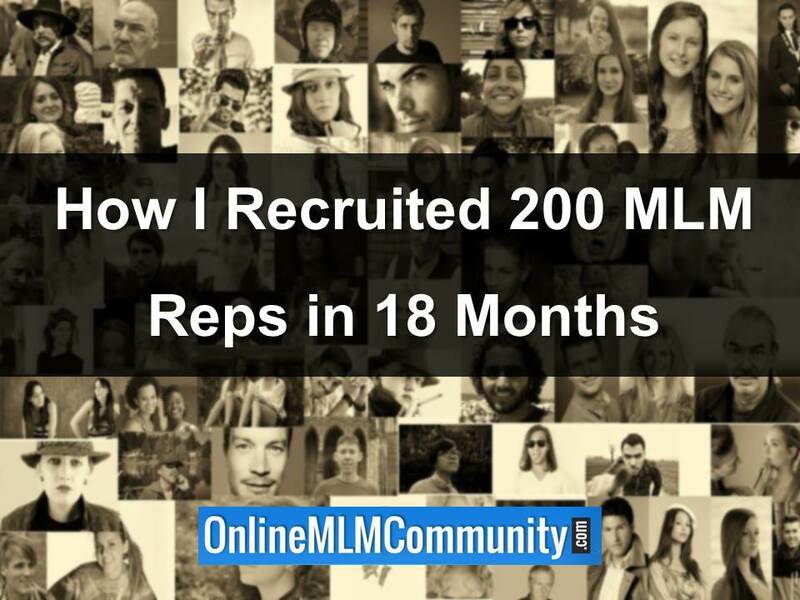 This is how I recruited 200 MLM Reps in 18-months. I hope you got some value from this post. What are your thoughts? Leave a comment below to let me know what you think. I look forward to hearing from you. Nice work Chuck. 200 people is a LOT of people to recruit. I’ve never met anyone in the industry that recruited that many people! Do you do it all online? What is your secret? I don’t really have a secret for recruiting MLM reps. I just took the time and money to learn and master online marketing. It took me about 10-years and tens of thousands of dollars to figure it out, but I’m so glad I invested that time and money! Anyone COULD learn online marketing if they were willing to invest the money and time to learn it. However, there is no secret sauce or magic pill. It’s a lot of hard work. This is so inspiring, Chuck. It must have took you a long time to get that good at recruiting. Most people who join the industry never sign up more than 2 or 3 people. I can see how having a popular website like this one would allow you to recruit more people. Great job! In my first company, I only recruited 13 people in about 2.5 years and that was considered good. That being said, I worked really hard to put in those numbers, almost a full-time effort. I’m glad I paid my dues, learned, and developed the skills. However, it wasn’t until about 10 years after that when I took the time to learn marketing, that recruiting became much easier for me. While most people still do and teach face to face, it makes sense to learn marketing because you only have so much time in a day. Getting people to come to you first is the best way to go. At that point, all you need are a few basic closing skills. You are a true rock star recruiter, Chuck. I don’t know of anyone else that has personally recruited so many MLM Reps in such a short amount of time. I can tell that blogging has worked well for you!